It is now generally accepted that there is something called anglophone African theatre, just as it is accepted that there is something called European or American theatre. Ever since Nigerian Wole Soyinka won the 1986 Nobel Prize, the question no longer occurs whether anglophone African theatre exists or not. Too many distinguished writers have emerged: the Kenyans Ngugi wa’Thiongo and Micere Mugo; the Nigerians Ola Rotimi, John Pepper Clark, Wole Soyinka, Femi Osofisan and Zulu Sofola; the Ugandans Robert Serumaga and Rose Mbowa; the Tanzanians Penina Muhando and Ebrahim Husein; the Ghanaians Ama Ata Aidoo and Efua Sutherland; the Cameroonians Guillaume Oyono-Mbia and Bole Butake; and the South Africans Athol Fugard, Zakes Mda and Gibson Kente, just to name a few whose works have made breakthroughs internationally. Indeed, what we now talk about are trends which are manifest in this theatre. Beginning with its own traditional theatre, contemporary African playwriting first copied western forms, especially Shakespeare, Molière and Schiller, or adapted some of the classics of Greek theatre. This was followed by a period of experimentation and radicalization during which it assumed the language of Caliban. It later settled into what has come to be known as Total Theatre, which is, in essence, a mixture of traditional African and western forms. Thematically, anglophone African theatre could be said to have gone from traditional celebration to colonial vilification and back to root sources and cultural affirmation, settling into socio-political and economic appraisal. Moving from the ritual and historical presentations of Charles Béart’s William Ponty days, to the Ghanaian Concert Parties and the Nigerian Yoruba Opera, dramatists and theatre practitioners continued to seek to relate works to their environment by making them more relevant and functional. Drama, like other forms of arts in Africa, came to be seen not only from the point of view of entertainment, but equally as an avenue for self-criticism and self-actualization. Through drama, it is increasingly being realized, people can assert or inculcate positive social mores so long as the drama-making process is community centred. This growing awareness of the impact of drama led to the creation, in the 1980s, of a Theatre for Development movement. This style of theatre was seen as the fastest means of communication with the public, but it was stifled in a number of countries with repressive political regimes, civilian and/or military. Even here, theatre came to be seen as a means of social and political evangelization, spreading dissent to the masses. It became a means of consciousness-raising, of developing critical awareness, with local populations helping to write the script, do the directing and even acting in performances for which they also remain the final beneficiaries. This movement—which started in Botswana and Lesotho—spread throughout English-speaking Africa and made a particularly large impact in southern and eastern Africa (Tanzania, Uganda, Kenya, Malawi and South Africa), as well as in Sierra Leone and Ghana. Yet, for all this, as previously indicated, it is anglophone Africa’s playwrights who have brought world attention to the continent’s theatre. The foremost of these is, without doubt, the Nigerian Wole Soyinka, the 1986 Nobel Prize-winner for literature. 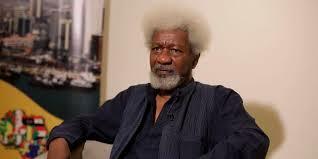 Soyinka also wrote a substantial number of prose and poetic works, as well as numerous theoretical essays. Educated at the University of Ibadan in Nigeria and at the University of Leeds in Britain, he became the conscience of his country, especially during periods of totalitarian regimes. 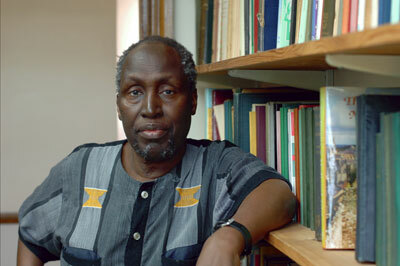 He remains the most studied African playwright and has been the subject of numerous books and articles, as well as of dissertations and theses around the world. The Nigerian dramatic scene has long been among the most vibrant in anglophone Africa. 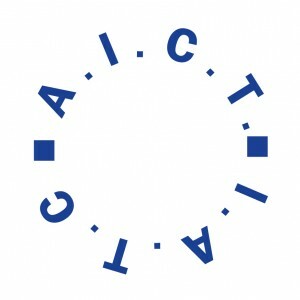 The universities are hubs of these activities. 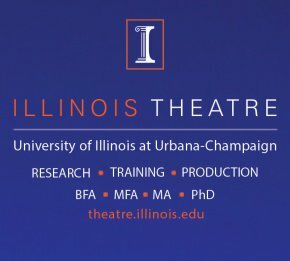 Many now have their own troupes with resident playwrights and directors, and some boast drama departments as actual teaching units. 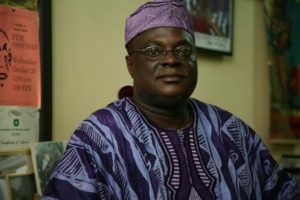 Lagos and Ibadan are clearly two seats from which Nigerian theatre radiates, with the performing facilities in Lagos and the pioneering work done at the Mbari Club of Ibadan largely responsible. 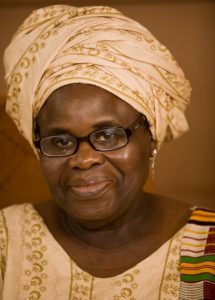 Yet, there are other centres in anglophone Africa, like Ghana, where the plays of Ama Ata Aidoo and Efua Sutherland showed the influence of the Ananse storytelling tradition. In Sierra Leone, a robust “Creole” theatre tradition developed. Cameroon, Africa’s only officially English-French bilingual country, belongs to both the Francophonie and the Commonwealth. 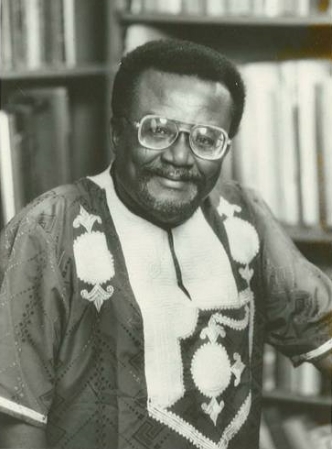 The first playwright from English-speaking Cameroon was Sankie Maimo, who started writing in Nigeria, in 1959, and followed mostly the manner of modernity and tradition of the first generation of Nigerian playwrights. He was joined by anglophone Cameroon’s most prolific playwright, Victor Elame Musinga, who started making incursions into social criticism. 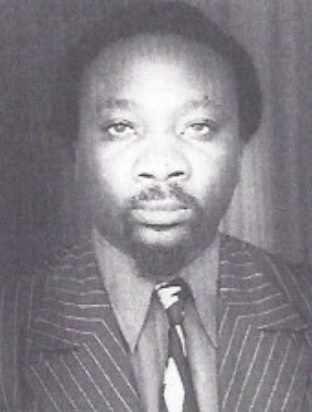 In the late 1970s, a new breed of anglophone Cameroonian dramatists, championed by Bole Butake, emerged. 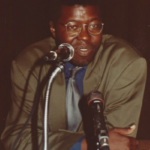 The work of many of these playwrights could be associated with the kind of revolutionary attempts of Femi Osofisan in Nigeria. The University of Makerere in Kampala, Uganda, was largely responsible for training the first crop of theatre artists in East Africa—Uganda, Kenya and Tanzania. The countries of this region, as well as many of those in southern Africa, went through a colonial situation which saw the importation of cultural values mostly from Britain. It was not until the advent of independence in the early 1960s and the awakening of African nationalism that attempts at validating indigenous culture began to manifest themselves. The Kenyan National Theatre in Nairobi, for example, was closed to plays by nationals until the mid-1960s. In most of East Africa, repressive regimes gave rise to two types of theatre. The first was a theatre which communicated through signs and symbols. This was seen in the work of John Ruganda, who in The Burdens (1971) attacked dictator Idi Amin’s penchant for having many wives and mistresses. 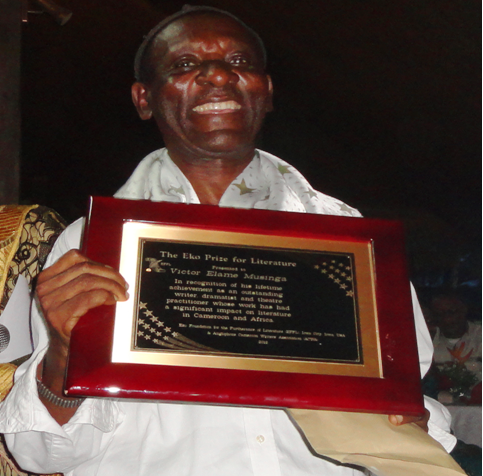 The period of the rule of Milton Obote, during 1962-70 and then again from 1979, was characterized by intense repression, but playwrights like Wycliffe Kiyingi, in his radio series Wokulira, and Byron Kawadwa, along with the later work of Serumaga and his Abafumi company, kept the liberation struggle burning. Because of the attempt to evade reprisals, many of the plays during this period were intentionally obscure. Serumaga, for instance, began writing drama in the absurdist vein and later moved away from text almost entirely with Abafumi. Rose Mbowa’s 1987 production of her play Mother Uganda and her Children in Uganda was written after Bertolt Brecht’s Mother Courage. Besides presenting the ethnic and cultural diversity of Uganda, using its dances, rituals, folklore and customs, Mother Uganda became a review of the history of the country, marking decisive stages of the life of an average Ugandan, turning out to be a political allegory with the key issue being ethnic diversity and national unity. Kenya suffered a similar malaise in the early 1960s, when its theatrical scene was dominated by western imports from London. It was not until independence that people like Micere Mugo and Ngugi wa’Thiongo wrote and produced The Trial of Dedan Kimathi and The Black Hermit. The former play dealt with the Mau Mau uprising that heralded the advent of independence, while Ngugi’s The Black Hermit examined the problems confronting a young man just returned home from studies in England between westernization and traditional Africa. 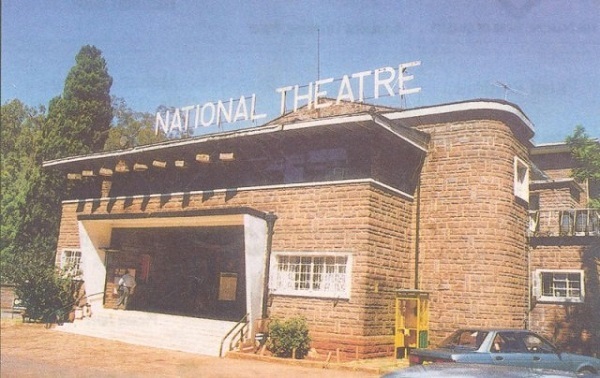 The Kenyan National Theatre based in Nairobi was Kenyan only in name, because it became an exclusive preserve of performances of non-Kenyan plays. Much of the early theatre by Kenyans was a revaluation of the consequences of independence. Ngugi wa’Thiongo’s Ngahika Ndeenda (I Will Marry When I Want) was performed by the Kamiriithu Community Educational and Cultural Centre, a group of adult education pupils, much to the consternation of the authorities, and this led to the razing of an open-air theatre which had been constructed by the villagers, the banning of the play and Ngugi’s subsequent incarceration and eventual self-exile. Zambia was also a seat of European theatre from the white settler community. 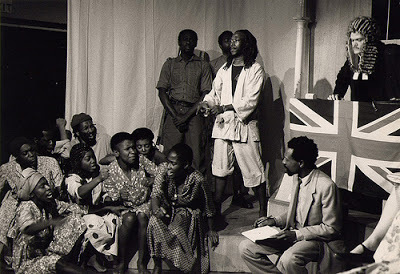 National work was done by the University of Zambia Drama Society and the Zambia Dance Company, which produced mainly West African plays, including Soyinka’s The Road, in the 1970s. 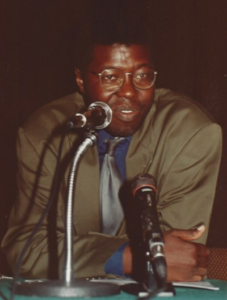 Later work, by writers such as Dickson Mwansa, was taken out into the countryside and began to embrace Theatre for Development. A workshop in Zimbabwe, in 1979, brought together seventy-seven workers in community development, adult education and theatre artists from Botswana, Tanzania, Canada, Swaziland, the USA, as well as from liberation movements then operating within the region. For a long time, Malawi remained behind a virtual “iron curtain” because of the benign dictatorship of Hastings Banda. Theatre was to develop within the country but, rather than direct presentation, most of it was also highly symbolic, resorting to innuendo to escape censorship. The popular theatre also came to occupy centre stage for a time in Malawi, under the leadership of Chris Kamlongera. South Africa’s “white” theatre, early on, also mostly followed traditions from the western world, while its “black” theatre included works of protest, resistance and committed expression, actively opposing the political-cultural status quo. A robust musical drama was developed during the apartheid period, first, as confirmation of the traditional basis of African culture and, later, as a force to be reckoned with in the search for freedom. Musicals like Umbathala (an adaptation of Macbeth), Ipi Tombi, Sarafina and Asinamali (We Have No Money) were mounted and toured extensively in Europe and America, as either symbols of the cultural richness or the freedom struggles of the Blacks. In these performances, “[s]ong, music, dance, movement, are forged into a means of expression, a language of its own right, with which the group . . . communicates with each other, enacting their hopes and desires, their fears of rejection, their ideals of individual happiness and social participation and integration” (Breitinger 1992: 137). However, besides musicals, an exciting protest theatre developed which was championed by those who strove to awaken the world to the plight of Black South Africans. Much of this theatre happened in the townships in a rather impromptu manner and through improvisations. Several theatre personalities merged in the 1970s and 1980s, both black and white, all of whom fought hard against the apartheid system. Powerful playwrights such as Athol Fugard and actors Winston Ntshona and John Kani came together to attack the inequities of the apartheid system in plays such as The Island and Sizwe Bansi Is Dead, while others like Percy Mtwa and Mbogemi Ngema created Woza Albert! (1981), an enactment of Jesus’ second coming in South Africa. Mtwa and Ngema both came out of the musical experiences of Gibson Kente, but broke away from what they considered a stagnant form of performance to embrace a more dynamic format, which developed through workshops and addressed itself directly to the blacks in the townships. After apartheid ended, South Africa’s theatre moved from one of confrontation and resistance to one of reconciliation, as the theatre system gave way to a more nationally accepted system that promoted racial equality and that helped to heal the wounds of the past. The history of Africa has clearly not been the same from one anglophone country to the other, although the major periods have been similar—pre-colonial, colonial and post-colonial. Experiences have differed depending on the specific colonial power, the location of the country and the natural resources which it possessed. Dramatists in every country took part in the liberation struggle, both from the colonial powers and from the arriviste African leadership who followed. Soyinka’s Nobel Prize gave international confirmation of the emergence and achievement of all African writers and reinforced the notion that the activities of the dramatist in Africa can and do go far beyond the stage. Breitinger, Eckhard. Theatre and Performance. Bayreuth: Bayreuth African Studies. 1994. *Hansel Ndumbe Eyoh originally wrote this overview essay for the “Africa” volume of the World Encyclopedia of Contemporary Theatre. It is republished here with the permission of and with slight edits for clarity by the General Editor of the series and WECT Ltd. 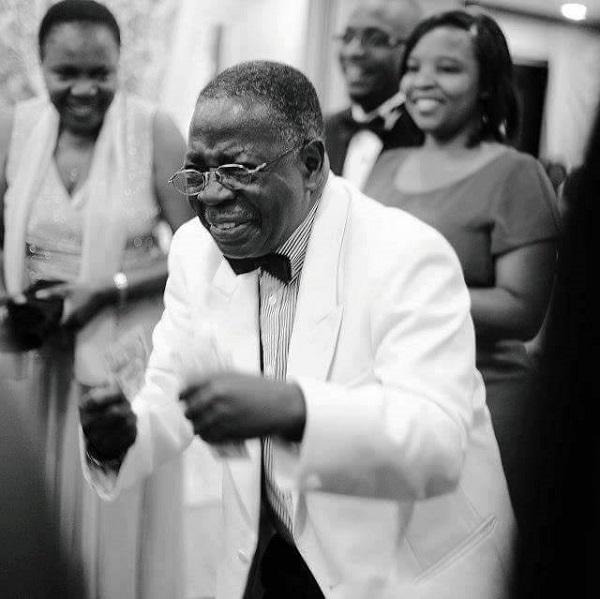 The late Hansel Ndumbe Eyoh, a Professor at the University of Buea and at the University of Yaounde, was working for the Ministry of Culture of Cameroon when he wrote this article. 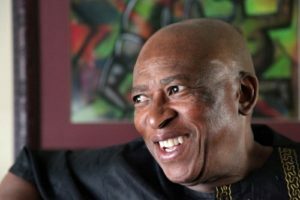 He was also a member of the Executive Committee of the International Federation for Theatre Research (FIRT) and Secretary-General of the Union of African Performing Artists.